When Should I Prune my Japanese Maple? Some people believe that a Japanese maple should be pruned in late fall. A sharp pair of pruning shears should be used when pruning a Japanese maple. Pruning sheers should be dipped in a bleach and water solution to avoid transferring plant diseases. There is considerable debate on the pruning of a Japanese maple. Some people even suggest that if you have one of these beautiful and delicate trees you should leave it alone, never pruning it. This wisegeek author must confess that following this path for ten years has resulted in a very healthy and happy Japanese maple with no ill effects — which perhaps was a bit lucky. 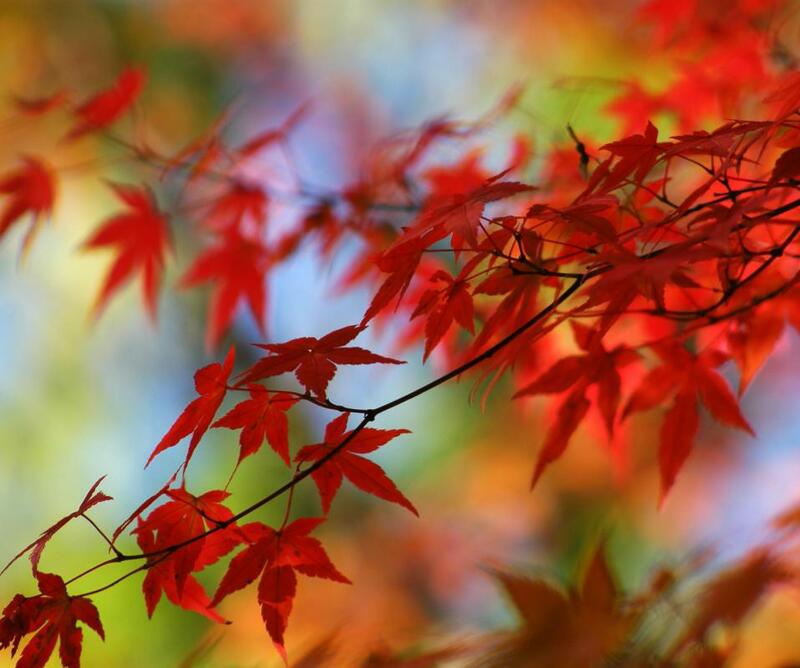 Others argue that pruning a Japanese maple should occur in late fall or early winter, after all the leaves have fallen and when the tree is in its dormant period. Some suggest light spring pruning, especially if you want to create the healthiest branches for your tree. In most cases, light spring pruning involves cutting back a few of the new growth branches to the first two leaves on the branch. This can result in stronger and heartier branches and it can help avoid branches that will cross over each other and rub together. Any major branch removal should occur in the fall or winter, and there are several procedures to follow. In the past, many experts who advocated major pruning strongly recommend using a sealant when branches from the tree were removed. Subsequent studies have shown, however, that wound dressing is not necessary if the pruning is done correctly. Experts recommend pruning cleanly back to the main trunk, a lateral branch, or a bud, and not leaving a stub, which heals more slowly. Before beginning to prune your Japanese maple, take a good look at the structure of the branches. If you see any old or dead branches, or those that look sickly, these should come off. Also evaluate the tree for branches that cross each other, rub together, or any branches that just appear weak. If you will need to take off quite a few branches, some master gardeners suggest you only prune some of them, and develop a two to three year plan to fully prune the tree. Take off about a third or a half of the problem branches, then wait until the next winter to remove the rest. Each cut to the tree can cause a bit of trauma for the tree, which may make the tree less hearty. 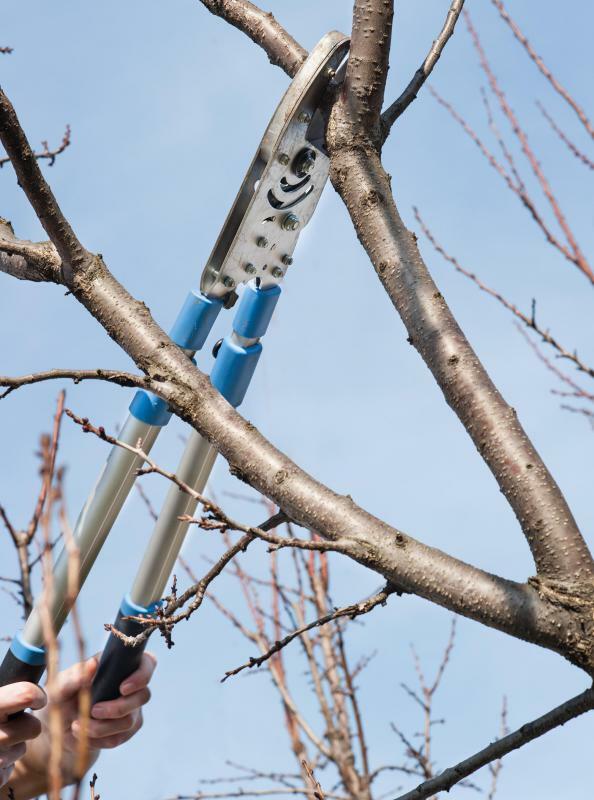 As you prune, you want to be certain you are making clean cuts of the branches, and never twisting or tearing branches off. A clean single cut heals more quickly and provides less shock to the Japanese maple. 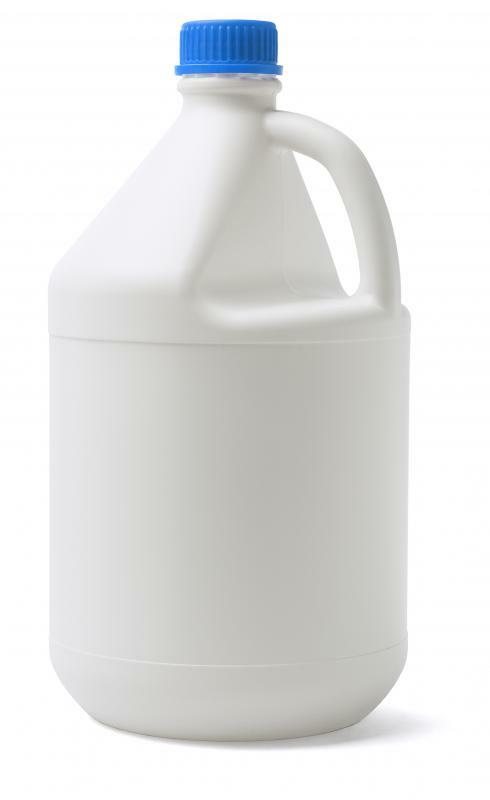 Choose sharp pruning sheers, which you may want to dip in a bleach solution first to avoid transferring any plant diseases to the tree. What is a Hedge Maple? What is a Bud Scale? What is a Crimson Queen Japanese Maple? What is a Bloodgood Japanese Maple? What is a Weeping Japanese Maple? What is a Dwarf Japanese Maple? I have two Japanese maples and I need to trim them to be shorter. They are pretty close to house. They were here when I moved in 20 or 30 years ago and seem to be really taking off the past two years, becoming too tall. Help! I use to have a nice japanese maple tree, in front of the house but this year my tree only 25 percent of it has leaves, more like one branch, and the rest of the tree hasn't shown buds or leaves. When I broke a branch on the side that doesn't have leaves, it looks like it's still alive. One branch, about 5 percent of the tree, still has dry leaves from last year and that branch I will cut off. I wanted to know could that branch have made my tree diseased? Should I give it more time? What can I do? I don't want to cut it down. Please help me and my tree. Is it OK to prune in the spring before there are any leaves? Or should i wait for leaves? @Andy: This conversation concerns *Japanese* maples. If you look in your "Manual of Woody Landscape Plants", you will discover that these are ornamentals that rarely reach over 20 feet in height. The three cut method is overkill and can result in damage to the small limbs found on these miniature trees. Also, large prune cuts and wounds are recommended to be sealed when pruning trees that are at risk for certain types of insect borne diseases (research Oak Wilt prevention). If you would like to verify this information, please check with the ISA. Your information is valid, but could be confusing to some people. Thanks for trying to help. my Japanese maple is only red when there is new growth like now it is november and the tree is green but the top has new growth and it is red. how can i get the whole tree red? I have a degree in Environmental Horticutlure. I practice my trade every day...I own a landscape installation and maintenance business in Atlanta. disease pathogen is present either elsewhere on the tree, or on the cutting tool. Clean your tools often and when going from tree to tree. Use sharp tools. Follow my information, and your tree will heal with no problems. I do agree with pruning crossing/touching branches, branches that are dead or show decline, and branches that are growing close to 90 degrees from the ground (these are weak branches, and could easily become diseased and die). I also agree to prune no more than 1/3 of the total vegetative growth from any plant at one time...If its a 2-3 year solution, or pruning 2 times during the appropriate time for a given plant...It doesn't matter... You can prune in the winter, then prune some more in the middle spring if you want. I wouldn't suggest any more than twice per year. Remember, if you are to help the plant grow, prune the terminal bud. The terminal bud holds a growth regulating hormone, and removing this bud allows growth promoting hormones to send energy to the given part of plant. This can be selectively done to provide growth for only one or a few parts of the plant. I have a very small japanese maple, about 6 inches tall with 3 branches. I need some advice to have it grow to a healthy strong tree! You never seal large prune cuts or wounds. That is a dated technique and all that does is seal bacteria, fungi and moisture in and interrupts the natural CODIT (compartmentalization of decay in trees)process that the tree uses to seal wounds.